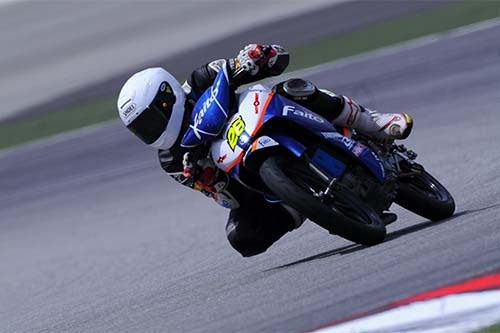 Ahmad Fuad Baharudin could not ask for a horrible start to the final round of the 2013 PETRONAS AAM Malaysian Cub Prix Championship as the Faito Yamaha Motobert rider and championship leader was diagnosed with high-fever two days ago. Yet the two-time CP130/Expert Champion who has been recuperating at home remains hopeful of making it to this weekend’s race at the Shah Alam Go-Kart Circuit. “I have a very high fever. I’ve visited the doctors and was given antibiotics. It’s not looking good at the moment but I am determined to clear it before Saturday, latest on Sunday. It’s really unfortunate to fall sick at such a critical moment,” said Fuad. 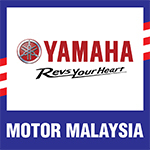 If Fuad decides to withdraw, his 128 points lead will amount to nothing, leaving Honda’s Norizman Ismail (127 points) and Mohd Zaqhwan Zaidi who are separated by just 16 points to fight it out for the title. In the case he gets to race this weekend, Fuad insisted he will approach Sunday’s decisive race with a round-by-round method as opposed to maintaining a sole focus on the championship. “If I manage to heal and race, I will not concentrate so much on the championship because I think it puts a lot of pressure on the team and myself. We will just try to do our job like any other race and hope for the best,” said Fuad who finished third overall last season.